This colorful Congress Hall wedding with Beth and Joe was the best wedding to end on before my maternity leave! I went to college with Beth, she was in my photography class before switching majors our junior year. We had some fun film and video projects together and I still have test polaroids that we took in the studio! It was so special to be there for her on such a special day! Beth and Joe make such an adorable couple. They are brainiacs and athletes, they love science and technology, the outdoors, bikes and adventure! We had a great time wandering around Congress Hall for pictures, I never tire of shooting there, its so colorful and you are just naturally happy when you walk through the different spaces. We had a special appearance from the blue pig who is a prominent figure/mascot for the hotel. This was the first time I’d seen him and I’ve been there more than a few times. We had a lot of fun with him. Beth and Joe’s good friend Marc officiated the wedding, he was witty and funny and really gave the personal touch to the ceremony that fit Beth and Joe so well. 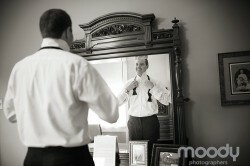 It really was a fabulous day and I couldn’t be more thankful to be there to document it for them! We had such a beautiful day in Cape May at Congress Hall! Robertson’s Flowers did a beautiful job on all the florals. Make Me Up Pretty was on point for the hair and make up, Beth looked stunning! True to Beth’s style the 80’s dance party reception took you back in time thanks to Enchanted Celebrations DJ’s! Pete Malone was on hand second shooting with me and all was right with the world! I loved all the black and white polka dots that accented the day, everything was perfect. Thank you for having us there with you, couldn’t be more excited for the both of you! Congratulations. Beth & Joe from JoyMoody on Vimeo. 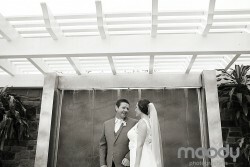 Jacqueline and Dan had an amazing day! Its been a while since I’ve been to the Ballroom at the Ben for a wedding, I had forgotten how beautiful it is! Jacqueline and Dan met at her sister Kelly’s wedding in 2011! That just makes their wedding all that more special I think. It was great to see the family again for such a special occasion. Alexa had the pleasure of photographing the guys before the ceremony, you’ll see they found an awesome bouncy castle to use for a backdrop. I was with the ladies at Jacqueline’s parents, an amazing house for pictures. I love shooting there. The first look with Dad is one of the most special moments in this family, he is one proud Papa! Dad also continued the tradition of stepping on the brides veil after giving her away at the church, exactly the same thing he did with Jacqueline’s sister. Don’t worry that veil was secure and nobody was harmed in the stepping on the veil. We took pictures around Independence Hall in Philadelphia. A great looking bridal party for sure! It was a beautiful spring day, couldn’t have asked for better weather! Jacqueline and Dan make an adorable couple. They both have these majestic blue eyes! Truly mesmerizing! Jacqueline’s dress was gorgeous an moved so beautifully. They were both just perfect. The Ballroom at the Ben looked amazing! Marcus Hook Florist did a fantastic job with the flowers! The ballroom looked amazing. Big Ric was there to party the night away, I love Big Ric he has such a big personality and talent to match. The reception was a fantastic dance party! It was truly a perfect day all around. I couldn’t be more excited for this fabulous couple! Enjoy this slideshow and some images from the day. Jacqueline and Dan from JoyMoody on Vimeo. Patrick and Eric had a wonderful Philadelphia wedding celebration at the Lowes. They met each other while in school at Drexel University and knew they wanted to get married in Philadelphia as soon as it was legally possible. These two are pretty adorable together, its clear they were meant to be. I’ve known Patrick since he was in grade school so I’ve watched him grow up over the years, I even had him in one of my photo classes at Drexel! These guys make one talented combo, Patrick in the Design and Merchandising field and Eric in Video Production, they are both in NYC now. They always knew they wanted a Philadelphia wedding, after all Philadelphia is an important piece to their puzzle. Their vows were simple, humorous and from the heart. Its such a special thing to watch two people make such an important commitment to each other in front of their family and most cherished friends. There was laughing, crying and everything that goes in between. The love and support coming off everyone in that room was abundant! I couldn’t be more thrilled for them. They did the floral arrangements themselves and rented live tree’s from a local nursery. The wedding was held in the Terrace Room of the Lowes, I didn’t even realize this room existed! It was beautiful with all the lights strung and reflecting off the glass. The ceremony was perfectly timed with sunset and a beautiful night sky glowing around them. DJ Deejay kept the party going with an uplifting fun dance set. It was an amazing day and celebrated Patrick and Eric perfectly. The last image in the slideshow zooms into Patrick’s dads apartment, he installed a giant P+E in their window that could be seen from the Terrace Room at the Lowes. A special tribute to Patrick and Eric. Thank you to Pete Malone for joining me, its always a pleasure to shoot with you! Enjoy their slideshow and some images below. 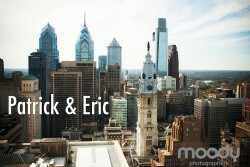 Patrick & Eric from JoyMoody on Vimeo. We had a fantastic day with Lauren & Joe. The start of the day was a little wet, but luckily it cleared up when we needed it to and thats all that counts! Lauren and Joe have been together since high school, this was a big day and celebration coming after much planning and Joe’s deployment. Everything was beautiful, they pulled out all the stops. The dance floor was filled all night, it was quite the party. We are so happy to have been a part of this amazing wedding. Congrats you guys! 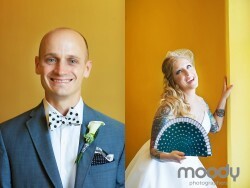 Lauren & Joe from JoyMoody on Vimeo. We spent Halloween this year with Nikki and Jason. 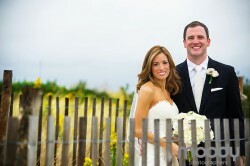 Nikki was such a gorgeous bride and Jason cleans up real nice too. 🙂 It was a gorgeous fall day and a lively group! Jason is Irish and if you have ever been to a party with a bunch of Irishmen you know its a good time. 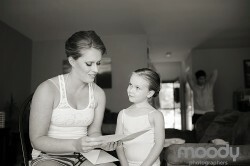 Nikki is a teacher and they invited all of her students to the wedding ceremony. It was really fun to see them all so excited to see her get married. After the ceremony they were greeted by a friend of theirs playing bag pipes, if you have never heard them played live its a really great thing to witness. We had such a great time with this bunch, they had trick or treating at all the tables for the kiddos and the kids got to put on their halloween costumes during the reception. Good times were had by all! 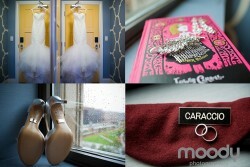 Nikki & Jason from JoyMoody on Vimeo.